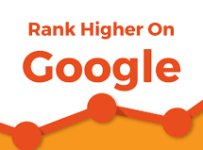 Home » Google Updates » How to rank your website higher in Google? Every business owner dreams of ranking number one on Google or Bing and the reasons are very clear. There is an old SEO joke that says “The best place to hide a dead body is on page 2 of Google” and it’s true. Search engines are powerful and users are only interested in the first results and basically three or five only. 67.60% of the Click through occurs only in the top 5 results. Depending on the searches for a particular keyword, the first page of Google attracts 95% of web traffic whereas other 5% or less users go on second or further pages. No matter how beautiful your site is looking but its optimization is something we can’t get off. Start with the understanding of Google algorithms like Panda, Penguin, Pigeon, Hummingbird and many others as well. Tracking of your site is necessary for the small websites as well. You should have the data that consists site ranking, first page that comes in search results with the average monthly searches. SEO (Search Engine Optimization) is the optimization of your website with the strategies and techniques to obtain higher ranking in the Search Engine Results Page (SERPs). It must be eligible for both the users as well as search engine robots. Keyword research: It all starts with Keyword research that is meant to be done very carefully. Keywords are those words/phrases that users put into the Search box to get relevant results. Search engines give ranking to websites according to its ranking factors. Keywords are here, there and everywhere in the SEO but they should be places in the URL, Meta tags and Content. Strategic keyword placement is necessary for a successful post. Meta tags: They are the words hidden in your code or they may be defined as a legal way of hiding words in your web pages for the Search engines. Title tag and description tag is the text shown in Search engine listings. What Google doesn’t stop loving is Unique content and the importance of Content creation and curation is increasing rapidly over years. Google is putting so much value to the content as people are searching for information on the web. The value of content increases so much when it is optimized with proper images to add that missing interest to your blog but even images are incomplete without alt tags. Drop your keywords in the first 100 words to make it more relevant. Sitemap is a page that is consisting of the entire pages that are specifically listed on your site, it allows for search spiders to locate pages quickly and that too with more of the relevance. 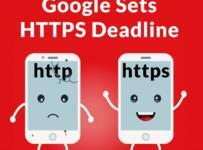 HTTPs are secured websites that is a protocol to ensure that the website you are using is establishing safe connection. That extra S with the HTTP web address acquires a SSL certificate that gives a look of secured site. Outbound links are required for bringing more attention and visitors to your website. 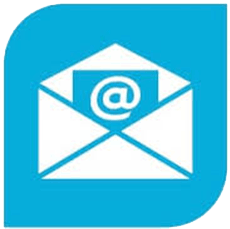 It indicates that you are providing relevant information that is vital. They must be relevant enough and from an authentic and high-quality sources. When a user comes to your webpage but did not go to other pages, this is when bounce rate increases that is crucial for your website. Proper internal linking can solve this issue more link juice leads to stay of the user for longer time and the new visitors also increases. Overdoing is not acceptable; 2 to 3 links to the relevant posts would be enough. Backlinks are the incoming links to your site and off page seo can contribute for more than 80% of the successful SEO campaign. They are basically the votes for your page to tell the search engines about your webpages and utilization of the page. Check out your broken links and replace them with a high authoritative active one. Make sure that your site is loading in lesser than 2 seconds (your competitors are already working on it). Optimize it’s speed accordingly. Image optimization, Clutter removal and reviewing plugins can help in maximizing the speed. It should be mobile friendly, the recommended Google setup is Fluid responsive design. What type of keywords should I use? Market defining keywords are harder to rank but are extremely important as they briefly explain for your business/ services. They are usually broad and generic and framing them appropriately can make some great content for your site/blog. Generic keywords allow you to reach the broad number of possible audience. As their name suggests, they includes very generic terms like straightforward ones. The conversions may be low with them but visitors are decent. Broad match keywords are the nearest suggestions and give a stronger opportunity than the generic ones. They provide low competition and good traffic with an average amount of conversions. Long tail keywords contains four or more than them that are used to target niche demographics. They can provide short term as well as long term benefits, being very specific they provide highly qualified traffic. It is easy to rank comparatively and to bring more traffic and converting more visitors to the users. They have high ranking potential with the ultimate high conversion rate. 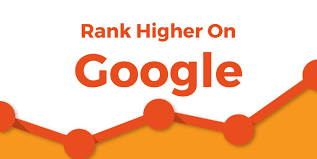 Thanks for sharing Google Higher ranking .This is a great helpful article. it was a very helpful blog for us, thank you for your posting. this is a good article for a beginner level of SEO or Digital Marketing. It was so interesting to read, really you provide good information. Very awesome Blog you created Thank you so much for sharing this great.